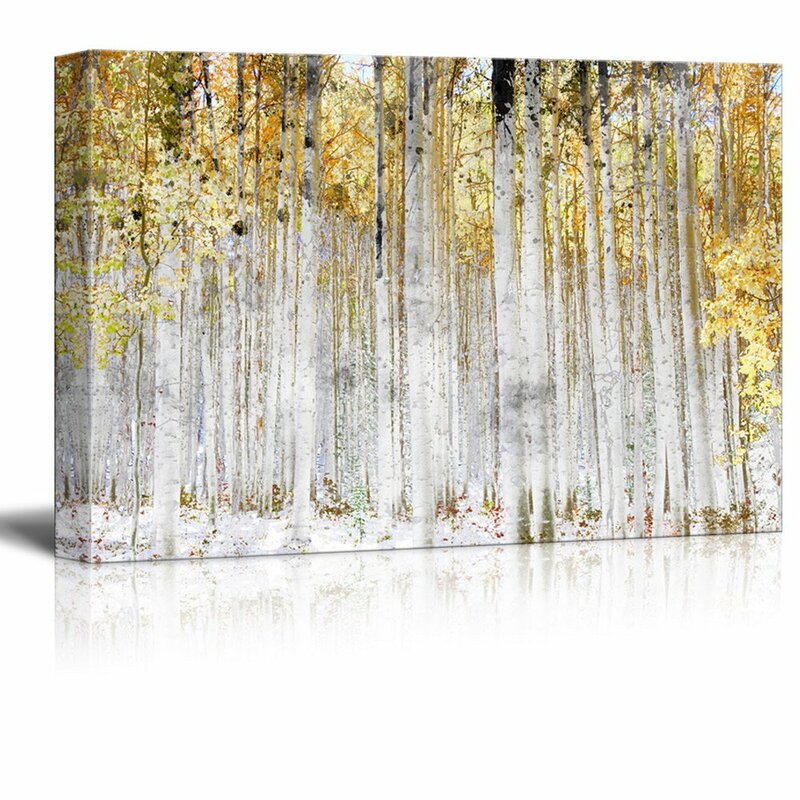 wall26 - Abstract Trees with Yellow Leaves - Canvas Art Wall Decor - 12"x18"
It's very nice, but the Amazon listing led me to believe that it had gold in in. More of a yellow. And it's fragile. Bumping it stretches the canvas. Not sure if it happened during shipping or if we did it while hanging it, but you can see the bottom of the frame because the print stretched. Still like it. It works nicely for our purposes. Quality piece of artwork. Looks better on the wall than online! Very nice picture and a nice addition to my living room. The picture is very pretty. My only issue is that in person the canvas is much shinier/glossy than in photos. The white tree overly pops out in the picture due to the shine. But I still really like and it looks nice. Love, love, love! Very good quality canvas and frame, and the graphic is beautiful!! Definitely recommend. Made well and shipped fast. Arrived quickly and looks perfect! Great quality! Beautiful photo! Well made canvas and package arrived on time and protected. Very affordable too. I’m super happy with my purchase! Perfect focal point for above my fireplace. I bought this canvas print for over the sofa. It is perfect there. 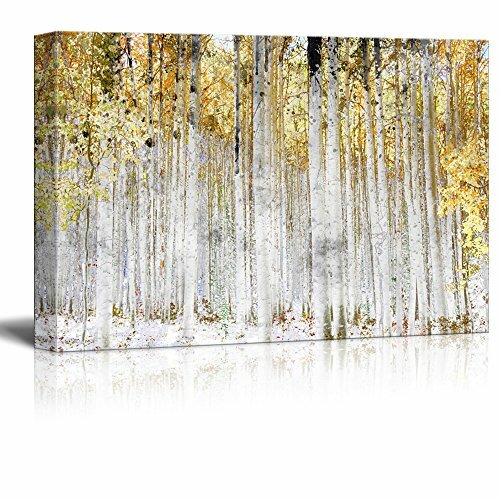 The colors were as pictured and it feels as though you are in the middle of a grove of Aspens. Very happy with this purchase. Would definitely order from this company again.